Visiting Minister of Territorial Administration Atanga Nji Paul salute some fighters who are leaving the bushes and collaborating with security forces for return to normalcy. 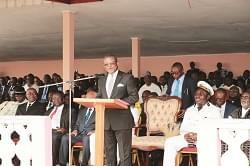 Four days into campaigns ahead of the October 7, Presidential elections, the Minister of Territorial Administration Atanga Nji Paul has summed up the security situation in the North West region as encouraging in the face of some isolated pockets of resistance by some who have taken up arms against the State. It is against this backdrop that the Minister revealed that some of the fighters are retiring from the bushes and collaborating with security forces for serenity to return. 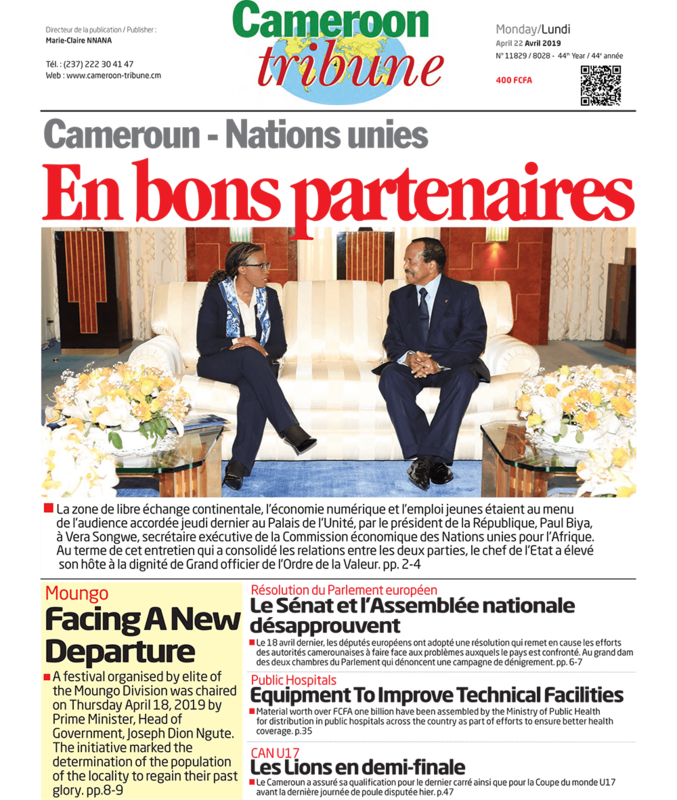 The Minister told Cameroon Tribune after a closed door working session with North West Governor Adolphe Lele Lafrique and his administrative and security collaborators that fighters leaving the bushes should expect some special treatment. He said some of the fighters who have dropped their guns have acknowledged that they were deceived. 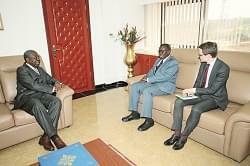 The minister was also around to dish out instructions to local administrative authorities on how to handle them. He stressed that the working session examined challenges in an attempt to help hierarchy take important decisions for serenity to reign before, during and after the election. The Minister had warm words for administrative and security forces whom he said are doing a marvellous job to keep peace. 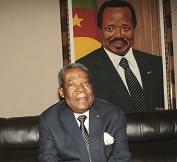 He inspired them to remain even more vigilante and warned those who think that they can fight the State because Cameroon has what it takes to handle difficult situations. He said the administration and forces of law and order are ready to ensure maximum security to all candidates who will be combing all the nooks and crannies of the region during the campaigns period ahead of the October 7, 2018 presidential election.